The Raid: Redemption (what the lead character is redeeming is never quite explained) might be the best pure action movie ever made; a balls-to-the-wall non-stop thrill ride, blah blah blah. 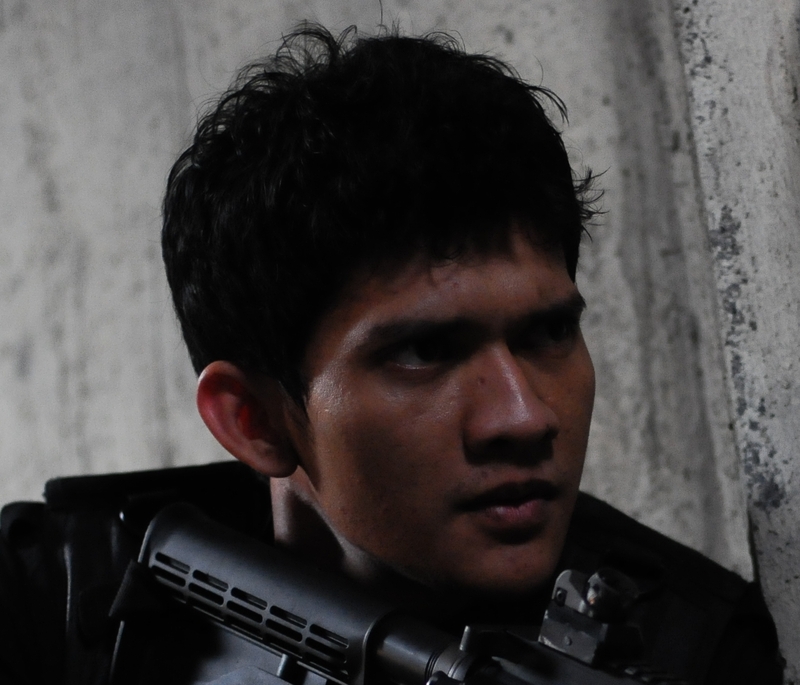 It was the story of Rama (played by my wife’s secret Indonesian boyfriend Iko Uwais), a rookie SWAT team member that gets stuck on a impossible mission to raid (that’s why it’s called The Raid) a crime-ridden apartment building and capture the ganglord that lives at the top of it. It’s awesome. You should watch it. A sequel was not only to be expected, but to be relished. Of course we want to see a repetition of the closed-system brilliance of the first movie. I can just see the studio executives relishing at the cash cow potential: Let’s put him in a bigger building this time! Or maybe a train? What about a plane? What if the whole movie was set in one of those little clown cars and Rama has to fight 256 circus professionals to win the day? Hammer Girl. She has 2 hammers. We’ll never know how my ideas would have worked out, as director Gareth Evans has veered so far away from the tone of the first film, that I’m not even sure he was ever involved with that movie in the first place. The lead character is the same, and he’s played by the same actor…and that’s about it. We join him about 5 minutes after the first film. He’s congratulated on a job well done, and as a reward is given the worst assignment of all time: He’s got to go undercover as a Jakartan mobster, infiltrating an Indonesian crime syndicate that’s in a permanent state of détente with a Yakuza clan that’s set up shop in their country. Why a rookie SWAT team grunt with no undercover training is given this extremely difficult task is not explained, and SHAME ON YOU FOR ASKING. 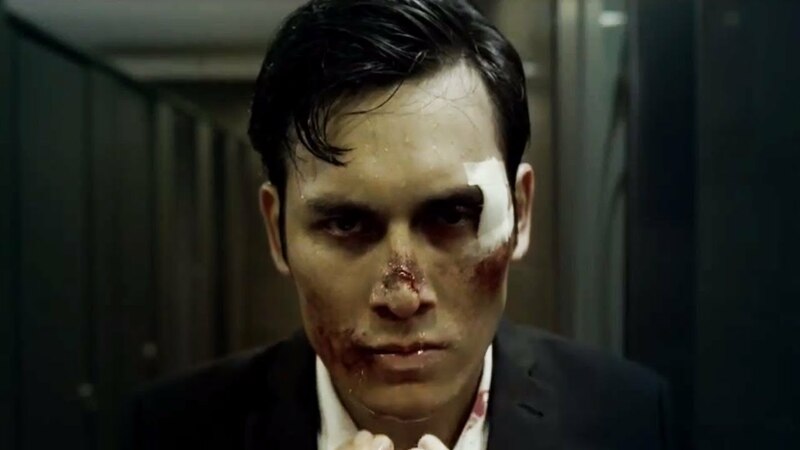 After 3 years in prison as a bit of a “get-to-know-you” mixer, Rama is ready for his new job: Protecting Ucho (son of the boss of the Indonesian mob, played smolderingly by Arifin Putra), as he shakes down pornographers for protection money. Ucho isn’t really satisfied with his lot in life, and spends the rest of the movie as a mutated Sonny Corleone (but without that character’s competency or loyalty), angrily bucking against his father’s complacent authority. Things escalate, and then everyone beats everyone else up. Now, this is a still a kicking movie, as my wife likes to call martial arts films. Gloriously so, in fact. If you liked the incredible martial arts action sequences of the first film, then you’re set here, and are guaranteed to get your moneys worth. They are absolutely incredible, and there’s also a car chase that is so definitive as the new raised bar for that particular trope, that I almost expected them to dig up Steve McQueen’s corpse and pee on it at the end. Evans absolutely makes his bones here as the premier action film director of our time. How every studio on earth isn’t breaking down his door to direct their terrible franchises, is beyond me. But it’s a vastly different film from the first installment, both in plot, and in tone. 1) Why are there no police in Indonesia? These guys tear up half the county with nary a siren to be heard. 3) This is a follow-up to question 2: Where did everyone learn martial arts? Is there a massive school in Jakarta that just trains all potential gangsters to be Pencak Silat bad-asses? If I led an army full of martial arts masters, I’d like to think that I’d be a little more ambitious than shaking down karaoke bars for protection money, but that’s just me. This really is one of those rare sequels that outshine the original, but it’s kind of unfair to compare the two films, as they are incredibly different. The first is a martial arts film, with a brilliantly bare action movie framework. The second is a full-on gangster epic, which reminded me tonally of modern classics like Infernal Affairs, and New World, though it never quite matches up to those films in terms of character development, or in emotional complexity. It also happens to have a whack-load of beautifully shot martial arts & action scenes in it, which will probably mean boffo box office, but nowhere near the critical cachet of those movies. Fantastic film. This entry was posted in Movies and tagged Gareth Evans, The Raid 2. Bookmark the permalink. Great review. Highly enjoyable to read. 1. I don’t know the answer to number 1, because definitely it would not happen in real life. The only answer would be, because it’s only a movie. Funnily enough, that gang war happened just few weeks before the release of The Raid 1. The real event sounded like a combination of Hospital scene in Hard Boiled, combined with Kill Bill and The Raid 1. 3. City kids in Indonesia are not familiar with martial arts. Sure, there are some public and private schools who have martial art class as their extra curricular activity, but not all. Rural kids might have more chances of silat training in their local mosque. Some of these rural kids migrate to Jakarta to try their luck. And when they fail to get a descent job, they might return to their village or become gang members. This kind of story is aptly described in Evans-Uwais first action movie, Merantau. 4. They cut Iko’s hair so he doesn’t look cute anymore, to make him more believable as a badass inmate.